The Society will hold its 95th annual meeting on Thursday, April 25th in the former Beacon Journal building, now Summit ArtSpace. 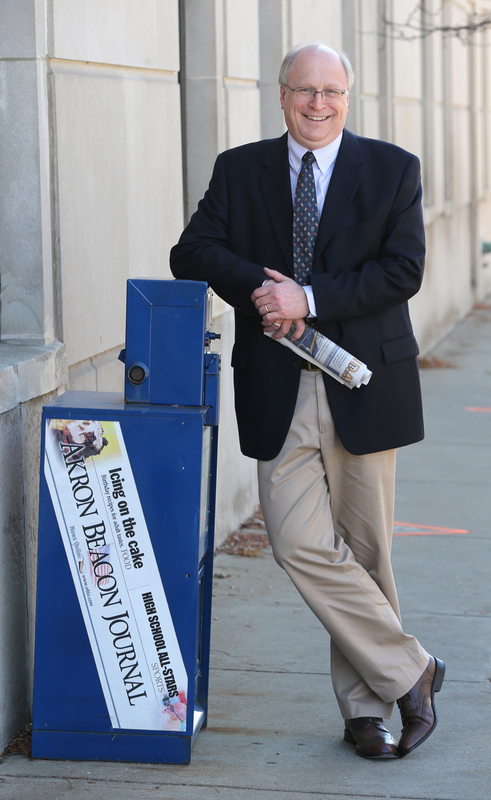 Bruce Winges, recently retired Akron Beacon Journal editor, will be our guest speaker. "Editing John S. Knight's Newspaper" is the title of his talk. Appetizers, including Akron's famous sauerkraut balls, will be served at 5:30 p.m. Dinner will be served after a brief business meeting to elect new board directors and officers. The event is open to the public, membership to the Society is not required. Studios at Summit ArtSpace will be open during the event for browsing and shopping. $42 per person or $75 per couple - buffet meal includes salmon and grilled chicken, sides and dessert. Tickets are available on EventBrite or by calling the Society office at 330.535.1120.